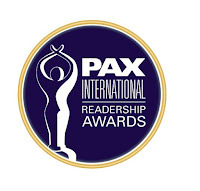 Qatar Airways has been awarded the PAX International Readership award for ‘Best Cabin Interior Passenger Experience’ at an awards ceremony that took place at the Radisson Blu hotel in Hamburg, Germany on 3 April 2019. The carrier also received the ‘Best In-Flight Duty-Free Programme’ award for the Middle East - the third time in four years that it has won this award - as well as the ‘Outstanding Food Service’ award. The ‘Best Cabin Interior Passenger Experience’ award recognises the unparalleled in-flight experience offered on Qatar Airways’ patented Business Class seat, Qsuite, which features the industry’s first-ever double bed in Business Class, as well as sliding panels that stow away, enabling colleagues, family members and friends travelling together to create their own private suite. Qatar Airways’ in-flight offering includes an exclusive selection of affordable and luxury brands, as well as its in-flight duty-free magazine, Extravaganza, introducing passengers to a collection of more than 170 in-flight products, including fragrances, cosmetics, skincare, watches, jewellery, fashion accessories, toys, and Qatar Airways memorabilia. One of the largest duty-free retailers in the world, Qatar Duty-Free (QDF) boasts more than 90 elegant boutiques and luxury, high-end stores, as well as more than 30 restaurants and cafés covering an area of 40,000 square metres at HIA, providing travellers with a world-class shopping experience under one roof. Luxury brands also available at the five-star airport include Tiffany & Co., Gucci, Bulgari, Hermès, Burberry, Hugo Boss, Moncler, Rolex and Harrods. In addition, the award-winning duty-free retailer regularly showcases podiums and pop-up stores including the Maison Christian Dior boutique, a TUMI Pop-up store, the Dior Les Parfums Podium and the Aigner Luxury Boutique. The airline has launched an array of exciting new destinations recently, including Gothenburg Sweden; Mombasa, Kenya and Da Nang, Vietnam. Qatar Airways will add a number of new destinations to its extensive route network in 2019, including Lisbon, Portugal; Malta; Rabat, Morocco; Izmir, Turkey; Langkawi, Malaysia; Davao, Philippines; and Mogadishu, Somalia. The TripAdvisor Travellers’ Choice Airline Awards are based on millions of honest reviews from travellers around the world and reflect best service, quality and customer satisfaction. Akbar Al Baker said: “Thank you to all our passengers who awarded us with these six Travellers’ Choice Awards. We are delighted that our continued pursuit of excellence is recognised by TripAdvisor travellers around the world. This is a ringing endorsement for all the hard work that our team has put in to serve our customers. TripAdvisor is the world’s largest travel site with more than 730 million traveller reviews of hotels, airlines, restaurants and attractions, making TripAdvisor one the most recognised names in the travel industry. Airline reviews are based on customer ratings of seat comfort, leg room, in-flight entertainment, customer service, value for money, check-in and boarding, and cleanliness, in addition to an overall rating of the airline.